Advances in Bereavement is a philanthropic program of the Brandenburg Maas Life Transition Center, established in 2009 as a privately funded and mission-driven organization to support projects, initiatives, and research that address personal transition periods and life altering pathways in the areas of health, loss, careers, and relationships. Here are some of the positive things people have been saying about AIB! Feel free to submit your own feedback on our Feedback Form. The series, "After the Loss: Grieving the Imperfect Marriage" was extremely well done. The information was thorough,the suggestions of timing and techniques when supporting another were quite helpful. - Diana H.
Thank-you for sharing your knowledge and information with those of us in the field! This is the stuff I think about all day every day finally put into words! It pulls all of my experiences together and makes sense out of them. Thank-you! Your magazine is amazing. Well done! Excellent presentation. Also really appreciate the online discussion groups. Dr. Neimeyer's presentation on "A New Approach to Grief Work" was excellent with very practical applications and examples. Thanks! The webinar was very interesting and informative. Keep up the good work! Terrific, thought-provoking, and affirming articles! 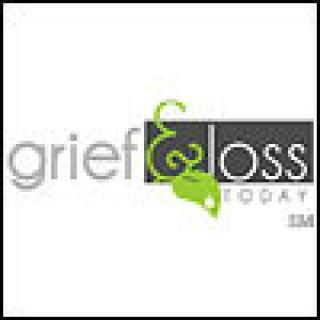 I totally agree with the benefit of being present and sharing the journey with someone who is grieving, and not identifying them as pathological!